When it comes to Honey Oil let us show you how you can Bee Vaping in no time! Honey Oil is becoming one the most popular marijuana concentrates on the market today. No doubt it is a great product. However trying to vape straight honey oil is not an efficient process when it is in its raw form. Turning your honey oil into a nice smooth vape oil is a fast and easy process with Wax Liquidizer. In fact, Wax Liquidizer will turn concentrates into e juice regardless of the type allowing you turn concentrates into THC vape oil. Here is just a sample of the more popular concentrates on the market today. Now to turn your honey oil into a nice great tasting smooth vape juice you need the following. Honey Oil of course, Wax Liquidizer, a source of heat, a glass and a few minutes. That’s not much but it actually sounds harder than it is. Watch this video and see just how easy it is to be vaping concentrates when you use Wax Liquidizer. Not only do you now have a vape juice that will not separate like a cheap salad dressing. You have a vape oil that was designed for great taste. This includes no plastic or lingering aftertaste. Wax Liquidizer took all the qualities and benefits of its original formula and then added some great flavors based on all natural products and flavors. Wax liquidizer comes in the following 6 great flavors. If you can’t decide on what flavor suits your fancy and ready to start enjoying the benefits of vaping MJ concentrates Wax Liquidizer has a great deal for you. Try our 6 flavor sample pack complete with the e-juice mix kit featured in the video above. This starter kit is being offered at a bargain price for a limited time. As mentioned above there are definite benefits to vaping marijuana concentrates as compared to dabbing and smoking cannabis. You may have overlooked the fact that vaping concentrates reduces many of the health risk associated with smoking MMJ or recreational MJ. Here are just a few you might want to consider. Concentrates are refined to bringing out the cannabinoids and THC in the most efficient way. This means you get more of what you desire from the plant. This significantly reduces the tars and carcinogens you are taking in. Combine this with the fact vaping temperature can be controlled providing a lower temperature to obtain the maximum level of THC. The lower temperature of vaping plus the fact you are atomizing or vaping the product as compared to burning it with high temperatures also decreases the tars and carcinogens you are inhaling. When you look at the quality of ingredients used in Wax Liquidizer, the proprietary blend that provides a vape oil that doesn’t separate, the great taste and the ease of use you see a great product. 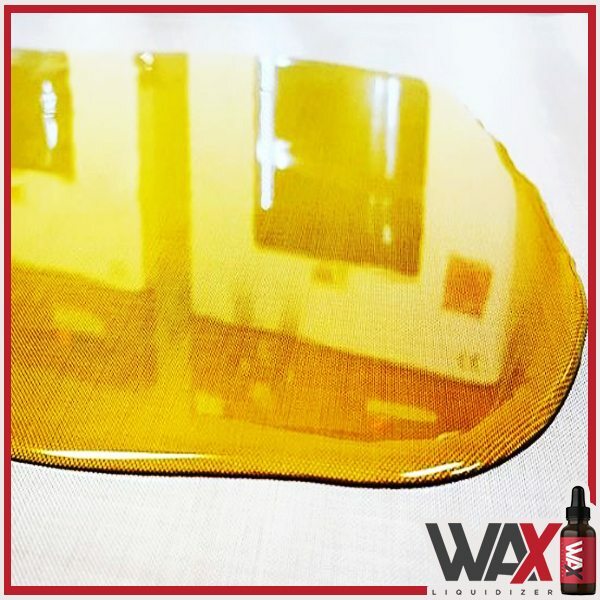 In fact, Wax Liquidizer was presented with the 420 Product of the Year in 2016.